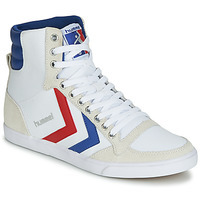 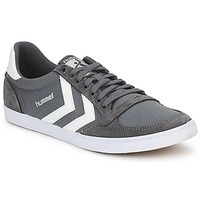 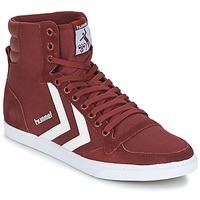 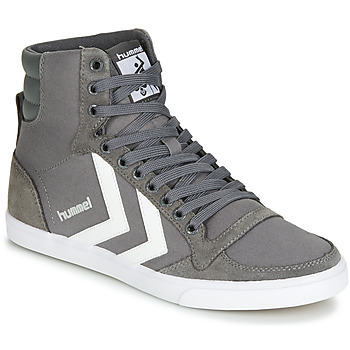 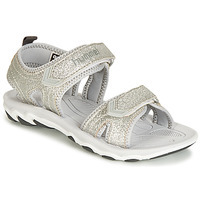 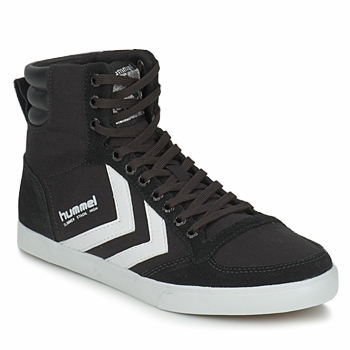 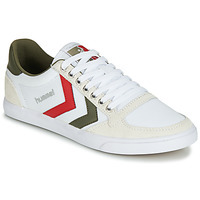 HUMMEL - Shoes, Bags, Clothes, Accessories HUMMEL - Fast delivery with Spartoo Europe ! 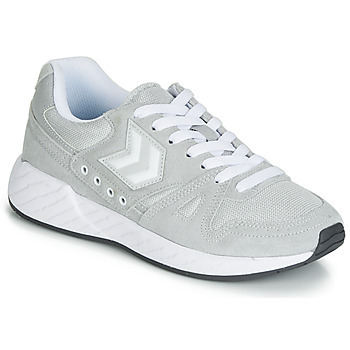 Originally the first sport shoes designed with studs, Hummel was born in 1923 from the genius and creativity of Albert Ludwig Messmer and quickly became a legendary sport equipment manufacturer. 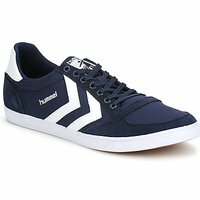 A specialist in handball and football shoes, the brand equipped the most prestigious teams as well as national teams in both sports. Drawing on their expertise and experience, the brand moved into sportswear by designing models with a more fashionable and trendy look. A definite success! Maybe you didn't know, but the very first trainers designed for sports that had a spiked sole was created by Hummel ! Founded in 1923, the brand specializing mainly in football shoes with the values of team sports being the focus of the brand's spirit. 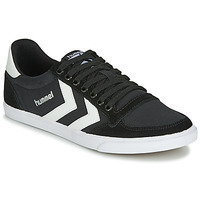 The brand then became a partner is the most prestigious teams, sometimes on the national level. 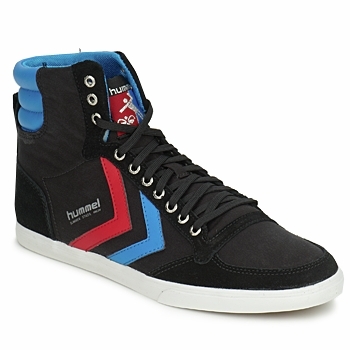 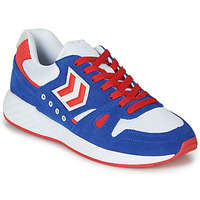 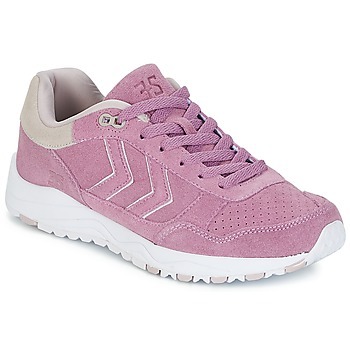 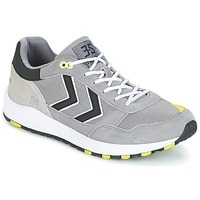 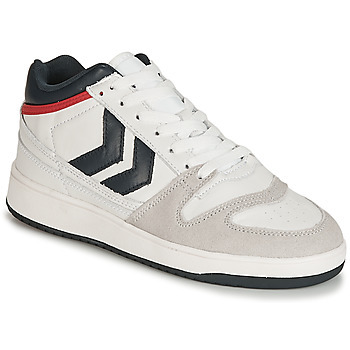 You can't get much better than trainers from Hummel ! With proven expertise, they have decided to expand into urban fashion. 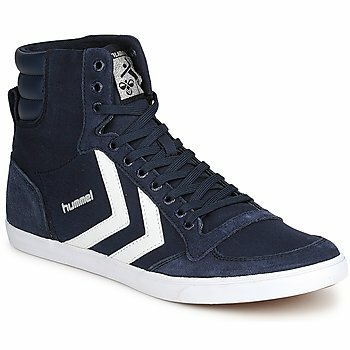 They have very trendy sneakers and hi top trainers with materials and colours that please fashion lovers. And for the little ones? 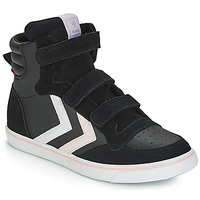 When the grown ups find what they are looking for, the children aren't left behind with the shoe collection that starts from children's shoe sizes. With laces or velcro, glitter for girls or cool colours for boys, each model is different with the same quality features and the arrow on the side, the unmistakable identity of the brand.